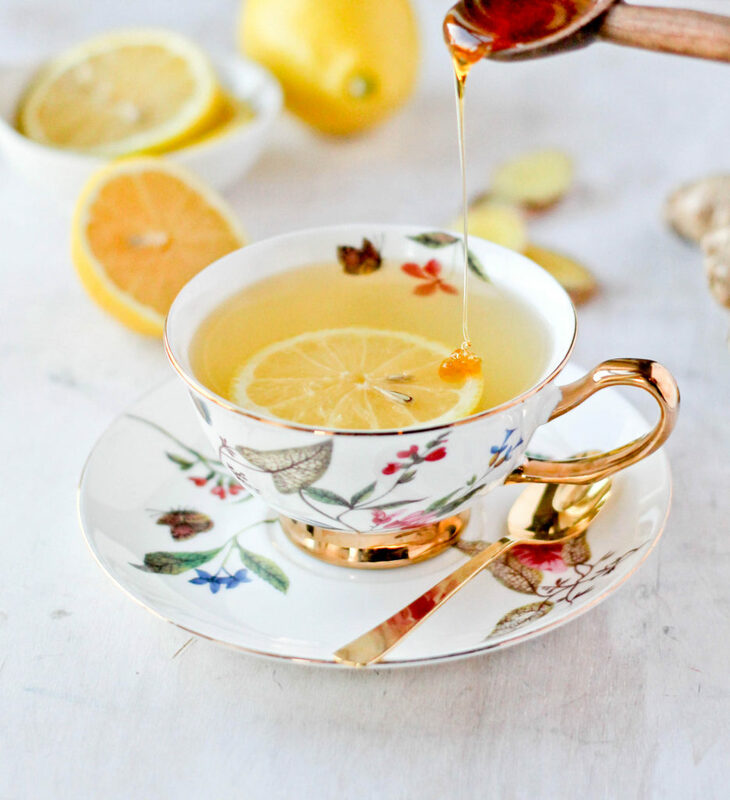 This Ginger Tea is packed full of ginger flavor with a hint of lemon and honey. 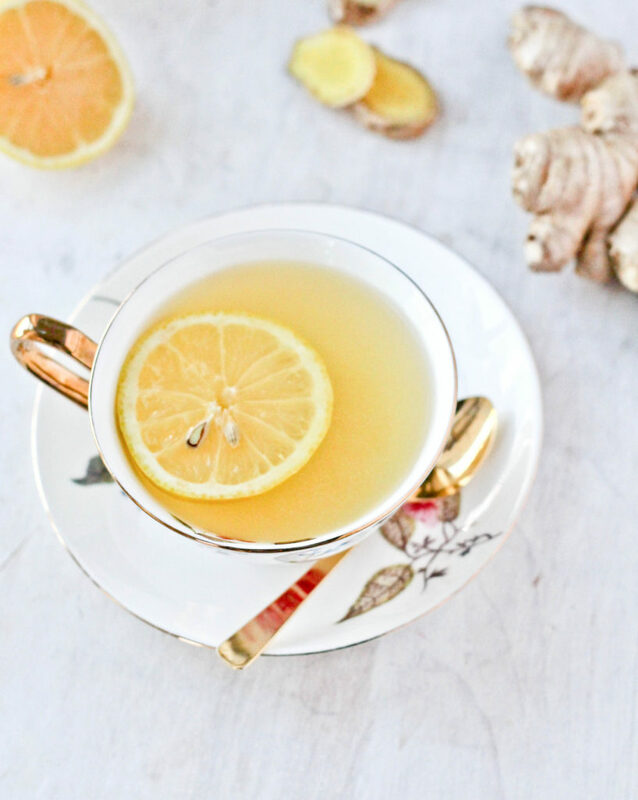 Help keep the winter sniffles away with a cup of the super simple Ginger Tea. It is January and most of America has had unseasonably cold weather. Here in Georgia where it rarely snows, some areas in the metro area got quite a blanket of snow even before winter officially began. I’ve been making an effort to keep my boys and I bundled up as much as possible despite the fact that we don’t spend a lot of time in the cold. Most people drive in Atlanta and most businesses have parking lots, so that means our exposure it at a minimum but I always dress for the what ifs. What if we break down on the side of the road? What if the heat in the car stops working? What if for some reason we are stuck outdoors longer than expected? I always keep those scenarios in the back of my mind and dress accordingly because having sick babies or a sick mama is no fun. The flu season rolls right on in with the cooler weather and with a son in Kindergarten we see our fair share of runny noses and sniffles around here. In an effort to boost my immune system and to prevent any sickness I’ve incorporated simple ways of doing so and one is by drinking ginger tea. 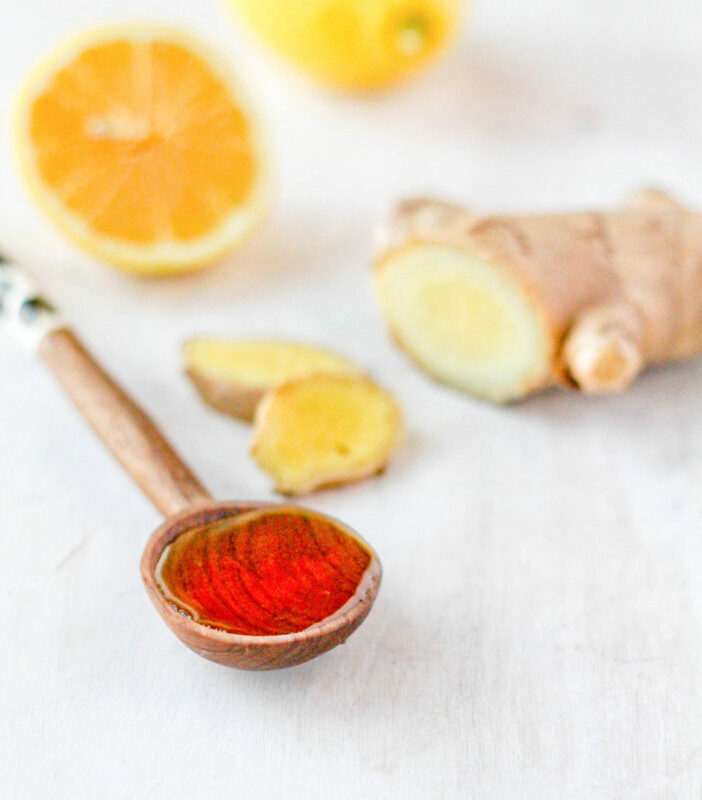 I’m a lover of ginger and use a generous amount in both sweet and savory recipes(ginger beer) so I tend to have it in my pantry at all times.. There’s no secret that ginger has many health benefits – it’s an anti-inflammatory, helps with nausea and morning sickness, lowers cholesterol in addition to boosting your immune system to help fight sickness. 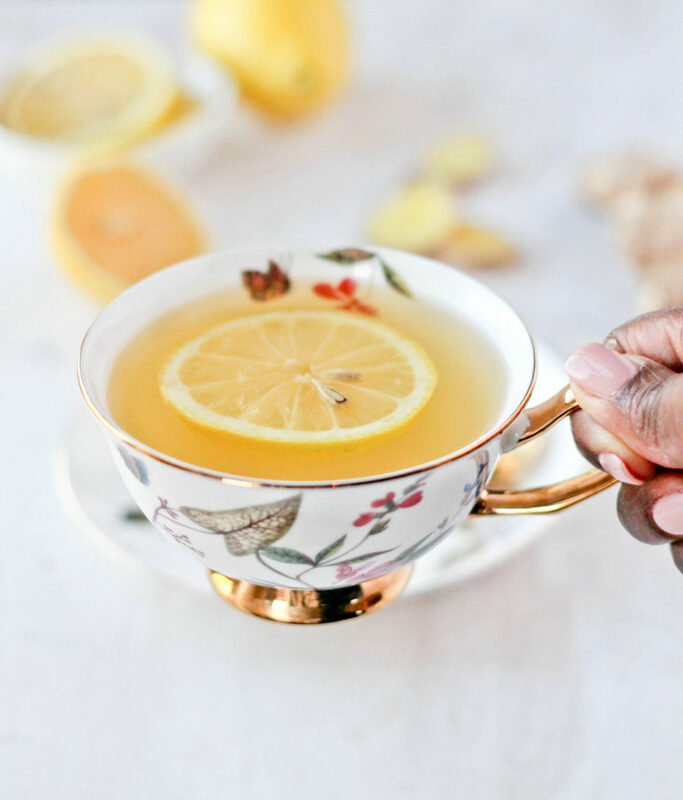 One of the easiest ways to get a healthy dose of ginger in by making ginger tea; it’s super easy and takes only a few minutes to make. There are several ways to make ginger tea – you can boil slices of ginger and let it steep or you can do as I’ve done and steeped finely grated ginger in hot water. I used a tea infuser from Ikea to keep the grated ginger in place and you can just remove it without having any pieces of ginger in you tea. I added fresh lemon juice and honey to sweeten the tea and that it, fresh ginger tea in 15 minutes! Place ginger in a tea infuser and place in a teapot of water and let sit for 10-12 minutes. Remove ginger and add lemon and honey to sweeten. Enjoy! I made some ginger tea just yesterday the old fashion way. I just boiled some ginger slices, added some lemon, and honey. Delicious! And got the job done. Nice! There’s definitely more that one way to make it!